Indigo Woods, a photo by Michael Mitchener on Flickr. A foggy morning in a quiet woods. Jamie, Meaghan & Cerys, a photo by Michael Mitchener on Flickr. I spent part of a beautiful Labour Day Monday afternoon taking photos of my neighbours at the Beach near Kew Gardens. We had a lot of fun and took a few pictures while Cerys entertained us and mostly cooperated. Ode to a Beaver Pond, a photo by Michael Mitchener on Flickr. A 30 second exposure of a seemingly quiet beaver pond at Killbear Provincial Campground, north of Parry Sound. Red Rider, a photo by Michael Mitchener on Flickr. I had a chance to visit the Show and Shine car event in Port Coquitlam, British Columbia this month. 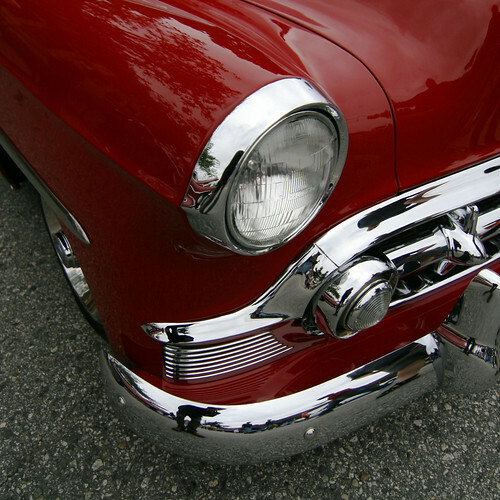 It was an impressive collection of automobiles that filled the streets of downtown PoCo. Lots of people, music, laughs and of course, big, beautiful, shiny cars. 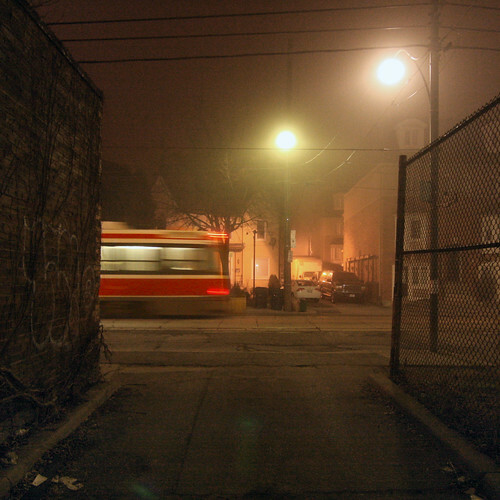 Streetcar Interruptus, a photo by Michael Mitchener on Flickr. 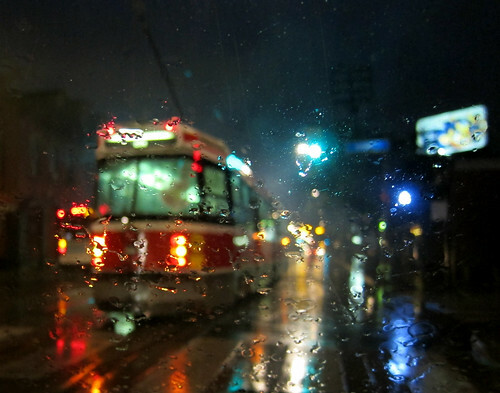 Spotted on this morning's rainy commute as this 501 streetcar struggled to cross Leslie Street at Queen. It was having mechanical problems and ended up stalled in the middle of the intersection blocking my ability to make a left. I decided to take a couple of pictures while I waited, mentally wished the driver luck, and eventually passed the streetcar with a u-turn back to Leslie. Better Late Than Never, a photo by Michael Mitchener on Flickr. I took down my exhibit at City Hall today. It was suppose to run for two months but ran a tad longer with scheduling conflicts and vacations (which was all good). I was happy to have a collection of streetcar photographs up on Councillor Mary-Margaret McMahon's office walls while City Hall debated the direction of Toronto transit. It seemed fitting that the exhibit came down on the same day that a vote to proceed with a light rail plan was successfully passed and I can now remove my "damn streetcars". Thankfully, there are some great people at City Hall trying to work together to come up with thoughtful fact-based transit solutions to make the city a better place to live in. My hat is off to MMM and the rest of the rational bunch for their perseverance and dedication. There must be days where they wonder what the heck they signed up for. Sniff 'n' the Tears, a photo by Michael Mitchener on Flickr. I take my dog on most photo walks or rather, I take my camera along when I walk the dog. 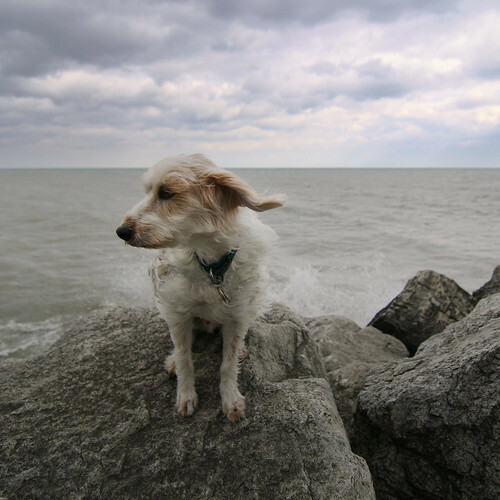 Subsequently, Dudley is extremely well documented and provides foreground fodder for many photos. He doesn't like getting his picture taken and is often trying to ignore me or look in another direction like he is in this shot taken at Ashbridges Bay. Overall though, it works out okay as he gets to go to the beach and I get a cheap model. Click here for a chronological tour of my Dudley collection. 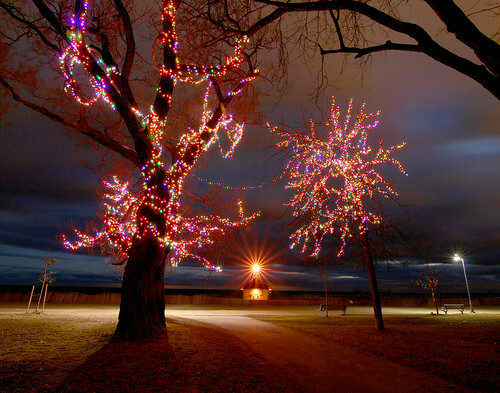 Leuty Lightshow, a photo by Michael Mitchener on Flickr. What if they had winter and no snow came. So far, that's been our winter but I can't say that I mind. Sure, a bit of snow on the weekend can be nice but I don't miss the miserable commutes and salt-covered sidewalks (ditto for Dudley). I'm sure the white stuff will arrive eventually and it's actually forecast for Friday so I'll have a chance to take the odd snow photograph before summer rolls around. Stay tuned. City Hall Exhibit, a photo by Michael Mitchener on Flickr. 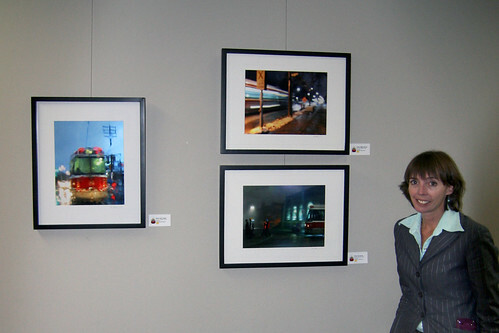 City Hall Councillor, Mary-Margaret McMahon, was kind enough to pose beside a few of my streetcar photographs now on display in her Ward 32 Constituency Office at City Hall until the end of February. Thanks Mary-Margaret (and Ciara) for the warm welcome.